Planning and a good strategy prevents piss poor performance. Or so Frank Le Duc C.O. said at my old squadron. Pretty easy to be prepared for everything a day of trading on Betfair will throw at you, huh? Simply, write out your structure or rules to follow. Stick to your strategy. The alternative? Trial and error. You sure? It can be a very costly and painful experience. Without a plan you don’t give yourself the best chance of success. Trading on Betfair is no different to trading in any other market. If you are prepared and follow a good plan – knowing which type of races produce the best and most consistent results for you, which tactics and strategy to use on those races and the staking plans that work best or YOU! All races are not created equal. Trading in all of them may be a bad move. It is for me. Most produce very inconsistent results. However trading on a selection that you have identified as suitable will give you a far greater chance of success. Andy can help with his daily Trends & Tips. An example of this is that the most successful trainers get regular winners by placing their best horses in races they have a very good chance of winning. Why would you put yourself at a disadvantage and trade every race on Betfair? Bonkers. You need plenty of patience to become a profitable Betfair trader. We have all heard the saying patience is a virtue. This probably applies to trading on Betfair more than most things in life. Most traders, including me, have very little. Do you really think that you can place a few trades each day on every race and trade a profit? Think again. It is very unlikely that you will trade to a profit on a regular basis and losses are pretty much assured. You can only expect a consistent return from your trades if you have done your homework and follow a proven plan and stick to your strategy. The actual chances of becoming a successful trader on Betfair are very slim. Remember, be patient and wait for the right races to come along before you decide to trade. Or set up an automated strategy as I do to identify, based on past success, the races you should get involved with. It takes a lot of discipline. Believe me it will definitely be worth it, because it will become the foundation of your success. Most punters lose on a regular basis. That’s why you trade on Betfair. You don’t want to be a loser. Punters lose because they are not emotionally prepared and don’t follow even the most basic betting essentials. In order to have consistency when trading you must follow a proven system. Even following your system there will be the occasional loss. Losing races are an unavoidable part of trading. Even a really profitable system will have the odd losing race. But it is the weeks and months ahead that matter. There are so many random factors in racing that can affect a strategy’s performance. However, systems offer us the best way of making consistent profits and any sequence of losing trades will ultimately be followed by a sequence of winning ones. Once you understand this fact consistent profit will never be far away. Most Betfair traders don’t use a system for long enough before they start to chop and change things so they never end up making any consistent profit. Very often they stop using a system after a few losses. Ultimately they revert back to their old stupid behaviour of no plan trading. On the other hand Betfair traders that follow a proven system are informed and prepared and have past experience of betting patterns. They know that any losing trade will not affect the long term goal of making money. Trading dynamics aren’t as you would expect. Talk to any trader. All have losing days. Most have losing weeks. But take a longer view over a month or more they are profitable year in, year out. There’s a phrase in poker. You have to have a “Positive Expectancy” which means although you may lose sometimes on the whole following a proven trading strategy which you have created for yourself by your own research you should expect your profits to outweigh your losses. Learn to think with a “Positive Expectancy” and with a good plan you will succeed and be profitable in the long-term. And always stick to your strategy. Most punters are greedy. Many traders are too. This greed clouds their view of what to realistically expect in return for their trading. Many traders, most perhaps, spend virtually no time on the selection process and are and lack the knowledge needed to back up their trading decisions. They just trade the favourite by the seat of their pants with no chance of being successful with any consistency. Their obsession with money means that open losses escalate, there are no scratch trades and their trading turns in to gambling. Very often they put the final nail in their coffin by not closing out before the race and… well, you know the rest. Another trader blows a bank because he became a gambler. I will say this once. Any trader who is serious should never, ever, even consider trading in running until they have at least a year of SUCCESSFUL trading on Betfair under their belt. You should be positive in your decision to place a trade, but don’t be greedy! A 1 tick offset – always use the offset – is great when you start. Only expect to trade profitably long term if you follow a good plan – yours – and execute discipline at all times. Being greedy will lead to failure and wipe out any money that you have built up. More importantly it will damage any faith or belief you had to succeed. Many traders that lose on even one market go in to tilt. They try to regain their loss regardless of a suitable opportunity being available. This crazy action usually causes them to lose even more money. What they fail to realise is tomorrow is another day and there is racing seven days a week in the UK. There will be plenty more opportunities to profit from, but not necessarily on the same day. Patience, observation and planning will regain the winning trades sooner if not later. Also, don’t chase losses. If you do it won’t take too long for your trading bank to be seriously depleted. Why do most traders on Betfair still lose even when they use a good racing system patiently? They lack the discipline to follow the system religiously to the letter. Or the system is flawed. The one thing all good systems have in common is a clear set of rules to follow, leaving you no room to second guess your choices, or even worse letting emotion get involved. A professional Betfair trader has clear, concise rules that he follows religiously, that is what separates him from the losing traders. If a system has been proven to work long-term stick to it and don’t make any changes. Unless in a rare situation when something in racing changes, which makes a particular rule redundant. If you get it wrong don’t punish yourself. Learn from it and move on. Stick to your strategy. Horse acing is a complex sport. You need to invest time initially and at the very least learn the fundamentals in order to gain an edge over 95% of traders. After all if it was that easy every man and his dog would be making a mint from trading on Betfair. The main difference between traders who profit regularly from racing and those that don’t is successful traders invest lots of time and energy into learning what works and just as importantly they know what to avoid. There are many strategies and tactics that you can use to profit from trading on Betfair. The key to success is learning to know which strategies or tactics to employ on which types of races.Many traders trade badly because they fail to learn from past mistakes and continue to make the same stupid mistakes over and over again. You should always try to improve your performance and keeping good records will help you to do this. Try to specialise in a particular type of horse racing that you like. I prefer jump racing. There is far too much racing in the UK these days for anyone to follow it in-depth. Knowing more about one type of racing is more productive and profitable than knowing a little about all types of racing. When I first started trading on Betfair I didn’t need to bother concerning myself with what type of race I should consider trading. I simply traded based on support, resistance and price action. Some can still do this today. But it is more of a challenge than it used to be. Most new traders need an edge quickly to survive. Picking the type of race which you perform consistently at is a start. Focus only on factual information that is relevant to your selection process and ignore hype and rumour. Keeping good records will help you to monitor your performance. You will be able to highlight any problem areas and focus on profitable angles. For example there may be a particular course that you just can’t trade successfully. It could be worth avoiding that course until you can find out why. It may not be your lack of ability. But at least if you keep records it will help you spot bank leaks. Learning to control the way you think and react to situations that arise in your trading patterns will lead to consistent success. If you stick to a proven plan you won’t start to question your judgment or ability. Have faith in your own opinion. One of the many reasons why traders lose most of the time is that they don’t have the patience to wait for a suitable race and just jump in irrespective of the realistic chance of trading successfully. Too much emotion involved in your trading decisions will be your undoing and drastically affect your confidence. This in turn will lead to fear and bad habits creeping back into your trading patterns; such as chopping and changing methods that has been proven to work long-term. You must understand that systems, tactics and strategies need to be monitored over time in order to assess whether they are successful or not. It’s no good trying a system for a week or two then changing the rules around when you hit a few bad trades. If you do follow this practice it will lead to erratic up and down results and long-term losses. Stick to your strategy. Emotive trading should be avoided at all times. If you ever catch me trading live on RacingTraders TV very often I sound exceptionally bored. That’s because I am. If you want to hear me a little more upbeat try a podcast. I have learnt to control my emotions because it’s one of the main ingredients to trading profitably. Once you do so, you will look back at your previous bad trading habits and it will become very clear why you lost most of the time – lack of emotional discipline. Some times in life it seems like we can’t do anything right no matter how hard we try. Unfortunately that can be a problem in itself, trying too hard can be as bad as not trying at all. You will have noticed some times information can seem difficult to absorb and your attention starts to wander from the job in hand onto other things. This is a perfectly natural human trait; our brains weren’t designed to solely concentrate on one thing all the time. When it does happen to you don’t worry, there are many possible reasons to name a few: lack of enthusiasm, tiredness, or even the need to take a break. Stop if you lack the true concentration needed to focus and make the right choices. Finally, let’s deal with issues outside your immediate control but for which you MUST have a plan if you are going to survive your first month trading on Betfair. 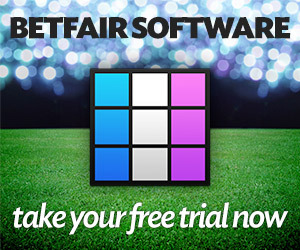 Betfair has regular issues and sometimes fails completely. Software crashes. Power cuts happen. Computers fail. Internet connection slows or stops. Betfair’s API severs fail. For everyone else who have already been caught out in the past if you’re still not better prepared in some way then get organised. There’s no excuse. Simply, have a spare laptop / tablet and a 4g internet dongle or a tethered wi-fi connection from your mobile. Check regularly that they can run from battery power. Have a funded Betdaq or MatchBook account and be logged into this either via BetTrader or through their website directly on your backup laptop. This way any open positions on Betfair can be quickly closed using Betdaq and MatchBook or vice versa. Another option is always place an opposing bet immediately after you open each position – tick offset – and use the take SP option. If Betfair then experience problems whilst your in the middle of a trade any SP bets already in the market will still reconciled afterwards so you won’t face the possibility of a total loss of your opening trade.